Quilters returns September 12! We meet every Tuesday, 1-4pm, through the last Tuesday in November. 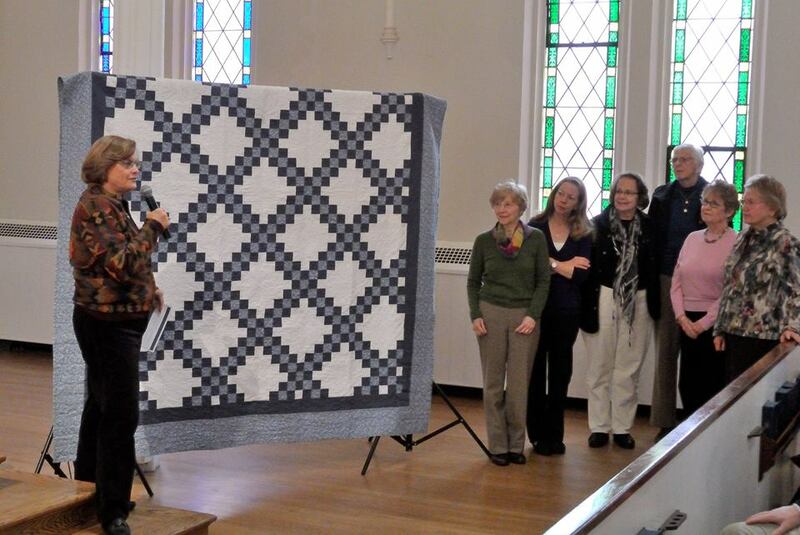 Proceeds from the quilt raffle go to various programs in the church. Every year, the ladies in the church make a quilt to be raffled off at Mistletoe Mart. While there are several people that have been working on our quilts for a number of years, we would most certainly welcome others to join us. You needn’t know how to quilt, but like to hand sew, and have an interest in our continuing these projects. Come join us. See what we’re doing. We can teach you how to quilt with us. If you have questions, please contact Jeanne Morrison at 914-234-3581, [email protected] or Harriette Scott at 914-244-4437, [email protected]. Volunteers make soup and we have a meal of it during coffee hour.